Please attach that if you have it.....if not please let me know. Having an afterthought about the AdwCleaner. Instructions state that scan may take "sometime to complete". When watching the progress bar, I could see the dark blue progress indicator for about 1 to 2 minutes. Then is turned a dull light blue with the pending: check elements ..... status. I left the computer sit for over an hour before running the report. Never did see a status indicator of complete for the scan. 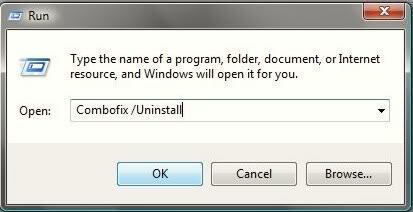 Just wanted to verify that this is what you wanted or should I remove adwcleaner and start anew? Just wanted to verify that this is what you wanted or should I remove adwcleaner and start anew? Nope...you did everything just right. Now let's remove those entries, get some updates and check for anything else hiding in there. See this page for instructions on how to clear java's cache. At the end, be sure a checkmark is placed next to Update Malwarebytes Anti-Malware and Launch Malwarebytes Anti-Malware, then click Finish. Ok....just post the logs when you get them. Results of mbam and eset. BTW Java icon says 32 bit? Java icon says 32 bit? What remaining malware problems are you having? Things appear to be back to normal. No other apparent issues at this time. Where do I shout you out? Where do I shout you out? Open an elevated command prompt > Click Start and type cmd in Start Search. When cmd.exe populates above, right click it and select Run as Administrator to open an elevated command prompt. I am at the last step cmd prompt. After hitting enter I get a message that the directory is not empty. There is a file list under the cmd folder, "extras". Could this be the reason for the not empty message? Going ahead with the desktop cleanup. Sorry about that.....my mistake. Let me know how this works for you. First open an elevated command prompt > Click Start and type cmd in Start Search. Ran it again. When prompted I selected yes to C:\FRST\Quarantine. Prompt returned without remarks. One more question. When I download the third part firewall, should i be disabling anything in windows and n360 so as not to have a conflict? Should I be looking for a different AV? That's actually two questions. Will look for your recommendations. I think we are up and running, so my last reply to this thread. I think that the antivirus that you have is fine. From what I understand, Norton360 already has a firewall. You should not need to use another and actually you should always just run one antivirus and one firewall at a time. Otherwise this can cause conflicts. Based on what you stated you already had, I think you should be just fine.